When I started thinking about working for myself and how scary it all seemed having worked at a school for so many years, the one thing that made me have the courage to try, was all the people I started reading about that had been just where I was then and didn’t regret having started their journey. I have since, personally and virtually met amazing people with great ideas that I am always keen to rave about! Cristina is one of them! 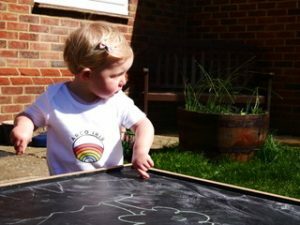 I am in love with her range of children’s clothing, and if you and your little one are attending our Nanos classes, I am sure you will too!